Are you into food service and indulgence a lot? If your response is positive on this, you should not let this opportunity of owning a modern European restaurant pass your hand. This European modeled restaurant is very welcoming to various customers from different walks of life. Our property is fully equipped, well furnished, upgraded, and comes with a viable financial record. It is recently renovated with newly installed fixtures and equipment. We are located in downtown Montreal, Quebec. We have been catering our guests with great past and present historical accounts and events. While we allow guests to step back in time and be amazed to nature’s wonderful offerings, we coupled it with our state of the art amenities. The restaurant has a distinctive modern European style that offers a catering service in the neighbourhood of Montreal. Its cozy ambiance provides customers with a luxurious feel, making it a great space for a private event other than for a casual dinner. We are open for lunch and dinner as well as occasional trade to generate more revenue. Rest assured of your success when you decide to make things happen in here anytime soon. Sale of this property needs certain type of buyer considering some stipulations, which need to be upheld and considered part of its lease agreement. This is definitely a profitable purchase, so walk in now and start making yourself your own money and just be your own boss. This property located in downtown Montreal, Quebec is available for lease. 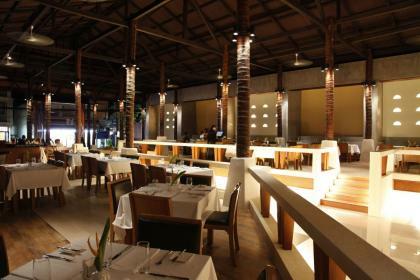 The restaurant receives a modern European style with modern, innovative equipment for food service as well as a very comfortable, relaxing environment. Any conversation for any other plans for the property will be available based on request. Take note that further information on the sale of this business will be released once a signed confidentiality agreement is received. You may contact the seller for any availability of our owner financing and any other funding options. Just contact us for more information about the property and the business at large. We will be more than happy arrange an appointment with you and attend to your queries. The restaurant management is open for any discussion with regards to possible expansion of the property when you wanted or desired. We aim for strong competitiveness in the food services industry. We do service restaurant goers for lunch and dinner and other special occasions or during holidays. This will allow the new owner to do some expansion during different season. We operate 12 pm to 2 pm for lunch and 5 pm to 8 pm for dinner. Our business employs knowledgeable and well-trained workers. We will guide the new owner in doing business and will support through guide book, order book, recipe book and the training program.